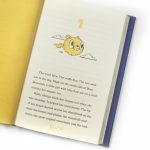 Meet Hilda: explorer, adventurer, avid sketchbook-keeper and friend to every creature in the valley! Join our heroine as she meets her very first troll, negotiates with some very persnickety elves and tries to solve the mystery of midnight giant. 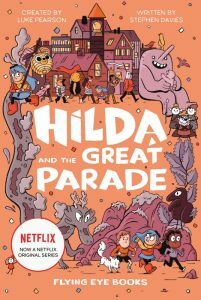 Fantastic creatures and daring adventures are all just part of another average day for Hilda…but what will she do if she is forced to move to Trolberg city, far away from her beloved valley home? 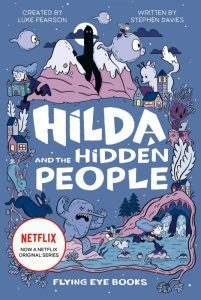 Hilda and her mother have moved to the bustling city of Trolberg, and it’s nothing like the beautiful wilderness she had to leave behind. 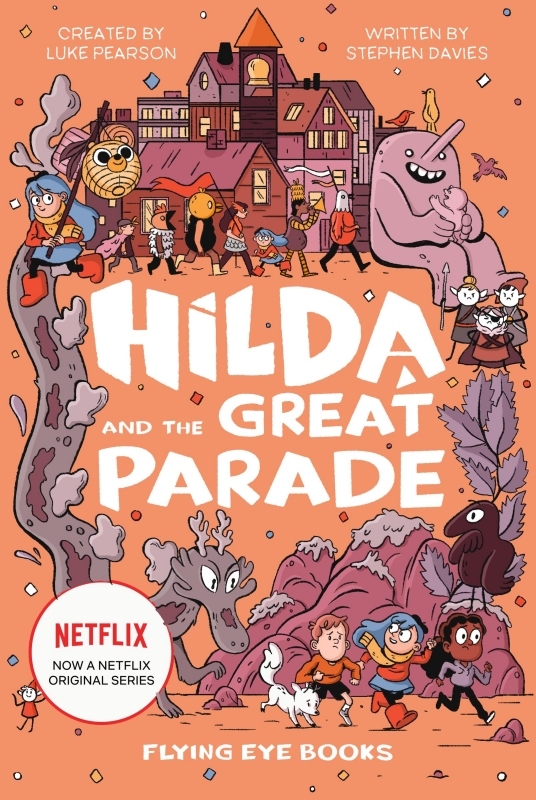 When Hilda has to work on a group project about the wonders of the city, she finds herself lost for ideas…but when an opportunity for adventure arises, she can’t resist! 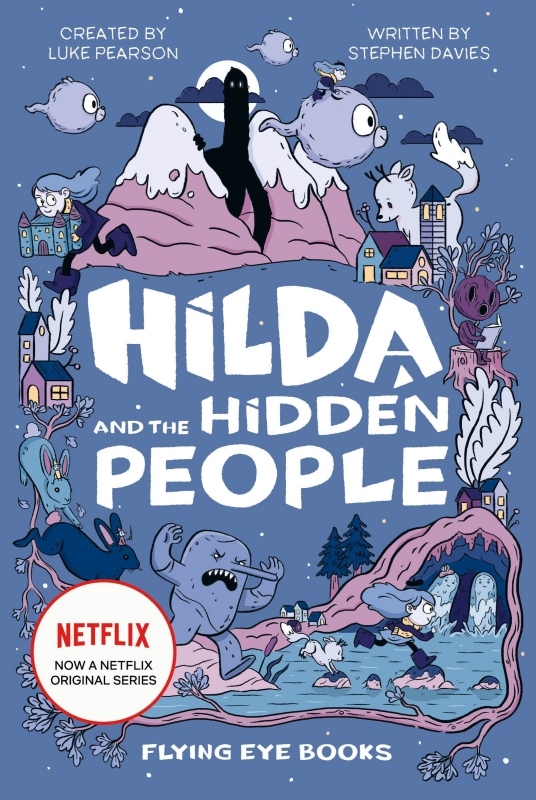 Along the way she meets wild elves, fire-breathing dragons, a mysterious talking raven, and new friends that might just change her mind about the city of Trolberg. Hilda is eager to impress her mum by earning plenty of Sparrow Scout badges. Her first attempts have not gone well but Hilda is determined to get her camping badge before the Sparrow Scout Badge Ceremony. Of course, the life of an adventurer is rarely simple. 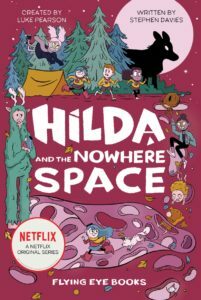 Not only must Hilda cope with a self-loathing giant, a nightmarish marra and a bloodthirsty hound – she must also get to grips with the mindboggling science of Nowhere Space. 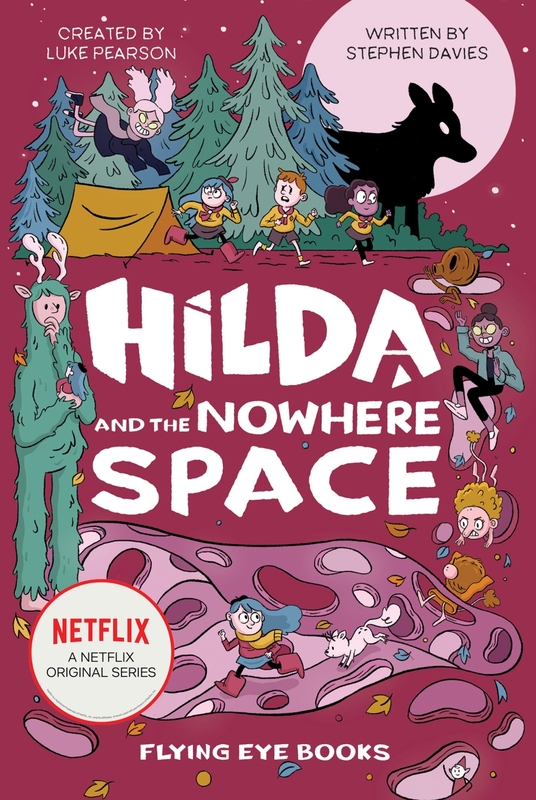 HILDA AND THE NOWHERE SPACE comes out on 14 May 2019.